It is a requirement of your Agreement, that the goods are protected against Theft and Accidental Damage. We can arrange Theft & Accidental Damage Cover for £1.01 per week. It is a requirement that products purchased on a credit agreement are insured. We can offer Theft and Accidental Damage Cover for £1.01 per week. 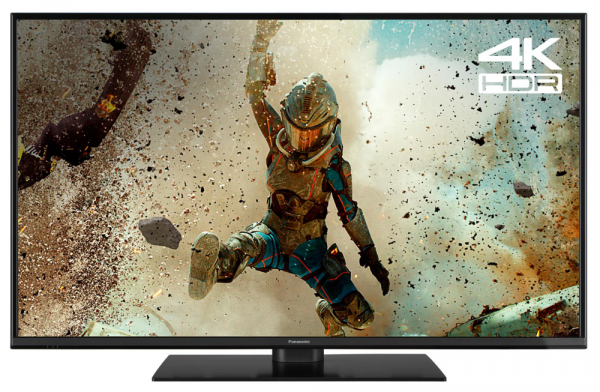 The Panasonic 49" Series 4K Ultra HD, HDR, LED Smart TV is the future of TV. This entire design will change your screening experience forever. Every single detail is perfect and with high precision because of the 4K Ultra HD. HDR makes whites brighter, intensifies colour and enhances the overall picture for an epic cinematic effect. These two features together with the LED screen, create an immersive experience that will such you into any drama. With Freeview Play included, watch your favourite shows on catch-up, access apps such as BBC iPlayer and Netflix and emerge yourself into the show. Access the internet when connecting to your Wi-Fi and browse in comfort. You can also enjoy connecting your Games Consoles and DVD players with 2 USB point and 3 HDMI ports. What are you waiting for? Watch Perfectly, Pay Weekly.